The Canning Vale Junior Football Club was formed in 1996 and in time enjoyed plenty of success in the East Fremantle zone. 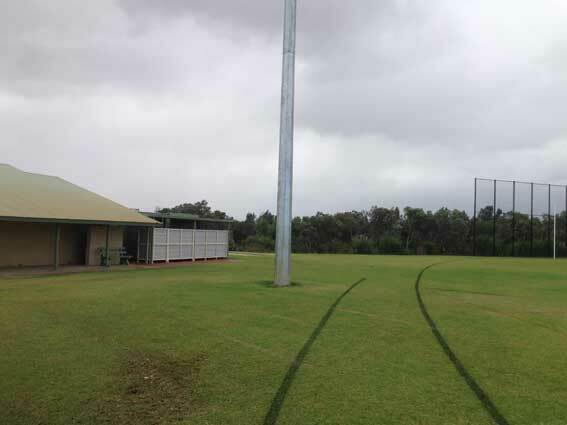 A group of enthusiasts then decided the juniors might as well have a senior team to move into and in 2011 the Canning Vale Cougars joined the West Australian Amateur Football League. 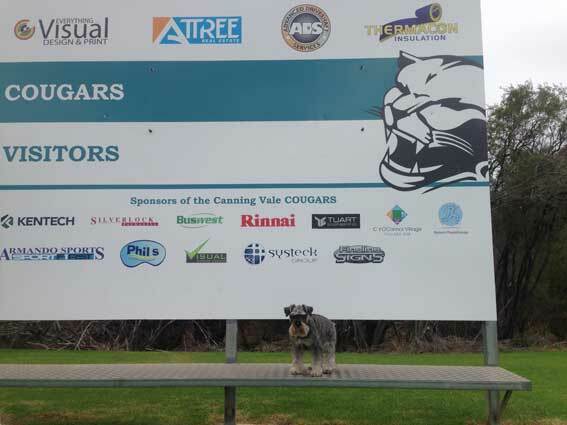 The Cougars have enjoyed remarkable success with premierships in the their first three seasons and now have WAAFL C4, C3 and C2 premiership flags on the walls of their home at Clifton Park in Canning Vale. 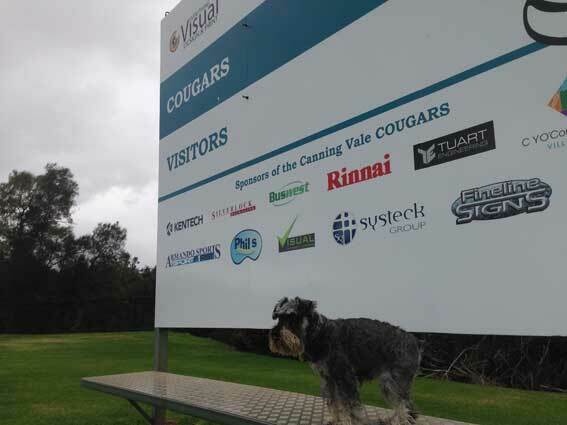 Canning Vale went for alliteration over location in coming up with a nickname. 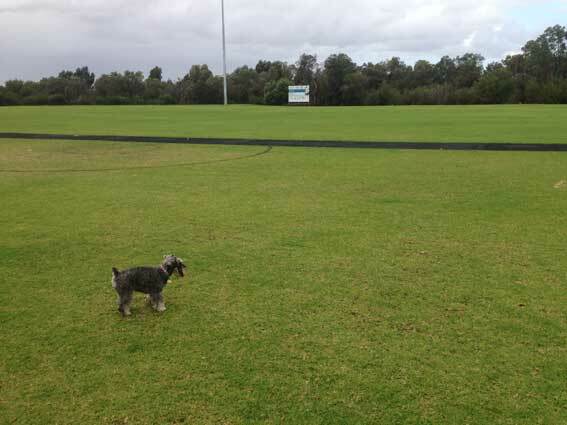 Clifton Park is right on the edge of a huge kennel area so the Canning Vale Dogs would have been appropriate. Clifton Park has a very nice surface but games must be interesting as one wing abuts thick bushland and the ball must disappear into it regularly. There’s a net behind the goals at one end to guard against lost balls and lost time. The scoreboard is an impressive modern structure and list of sponsors suggests the Cougars are doing ok off the field too. I club umpire for Canning Vale. Most match days you can hear the dogs from the kennel yapping all day long as well as the sound of small aircraft taking off and landing fromnearby Jandakot airport so we could have been the Dogs or the Jets or the Bombers! 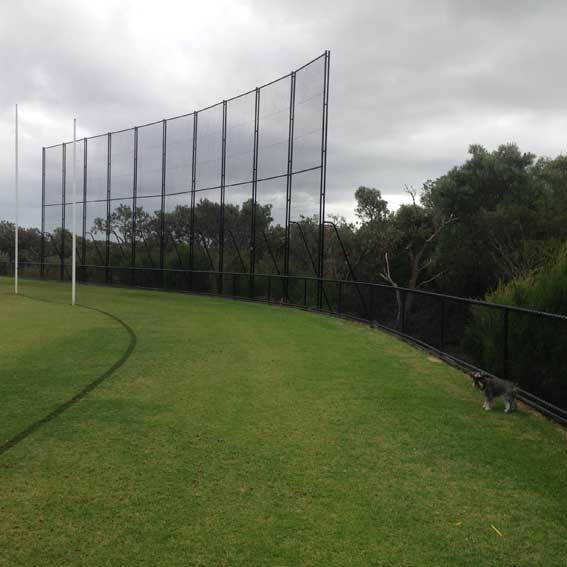 We usually have a spare ball behind the goals for when the ball clears the fence to resume play without delay, as you’d be waiting for a long time to wrest the ball out of the grasp of the bushland. Despite play favouring the scoreboard side most of the time, the ball rarely ends up in the bushes when the ball goes out of play – only when players shoot for goal.